in Michigan, Ohio and across the nation. Every time we’ve driven a new diesel car lately, we’ve been amazed at how indistinguishable they have become from conventional gas cars. No clatter. No smoke. No rattling engine noise. Now it appears consumers are catching on: Registrations of diesel-powered passenger vehicles increased by 24.3% in the U.S. from 2010 through 2012, says an advocacy group, the Diesel Technology Forum. 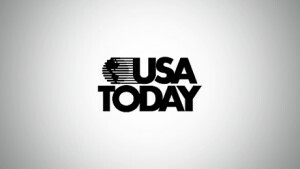 Peter Lehner's USA TODAY opinion piece on how DOE loans are working. Surf, Sunscreen, and Gasoline: How Much Will Americans Spend at the Pump this Memorial Day Weekend? Josh Goldman of Union of Concerned Scientists on fuel savings. UAW and National Wildlife Federation guest opinion from the Toledo Blade. Copyright © 2019 Driving Growth. All Rights Reserved.